Easy to install, intuitive to use. The First & Only 360º Solution For Print Management and Printing Dealearship Business. Weather you have a MFP Dealership Business or you just want to track your print & copy needs and reduce the cost of your business we have a solution for you. MfpCloud solutions are devided into 3 products to fit all of your needs, no metter how advanced or simple they are. Check out your options below to learn more about your managed print tools. If you are in need for precise and highly effective print, copy & scan tracking software MfpCloud Basic solution takes care all of the above and much more. You’re running a corporation with multiple user rights and big infrastructure. MfpCloud Plus is exactly the solution you have been looking for. With our powerful tools and advance features we provide you with everything you need in one easy to use user interface. 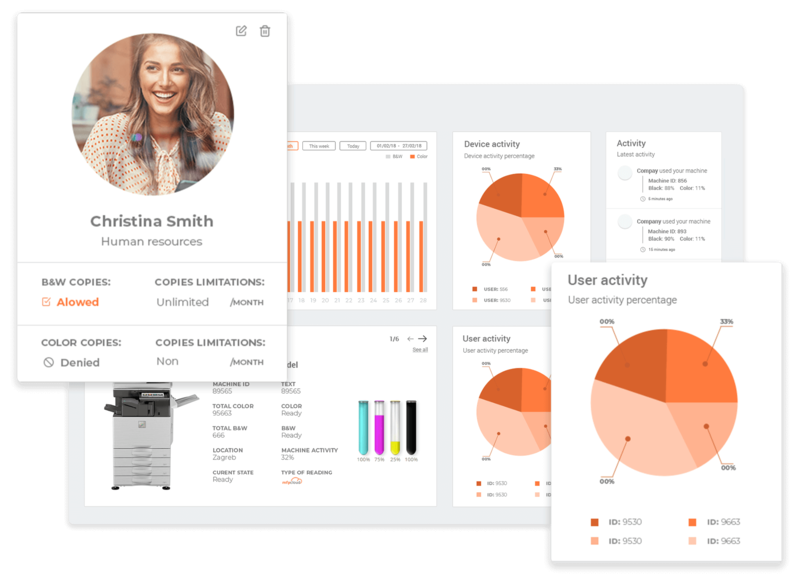 Your print dealership CRM solution is finally here. 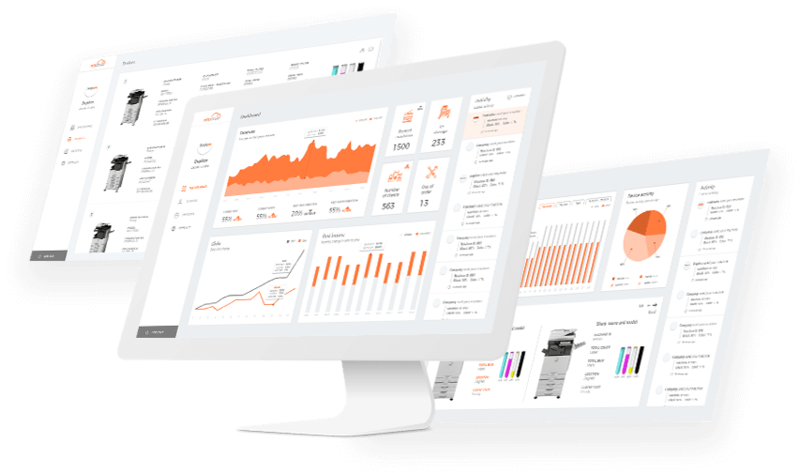 Now you can easily track revenues, profits, contracts, copies, prints, toner consumption, mailfunction errors and much more in one user friendly interface packed with rich reporting and analysing tools. 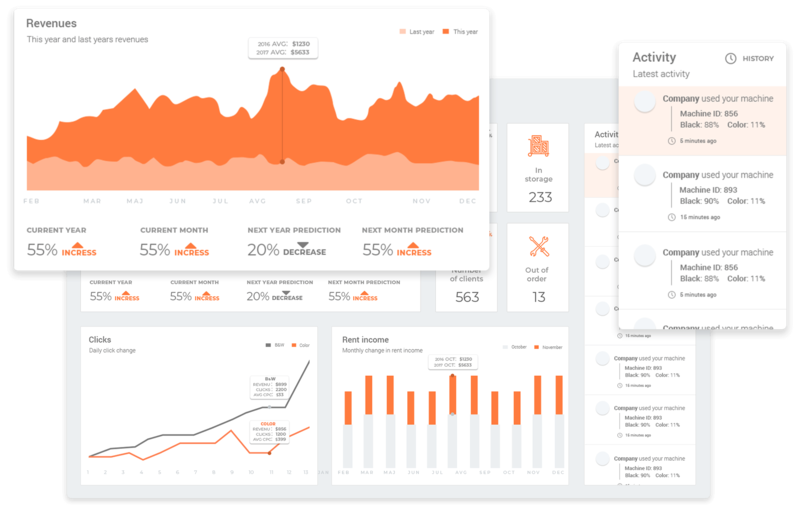 Track your revenue, expenses and profits. 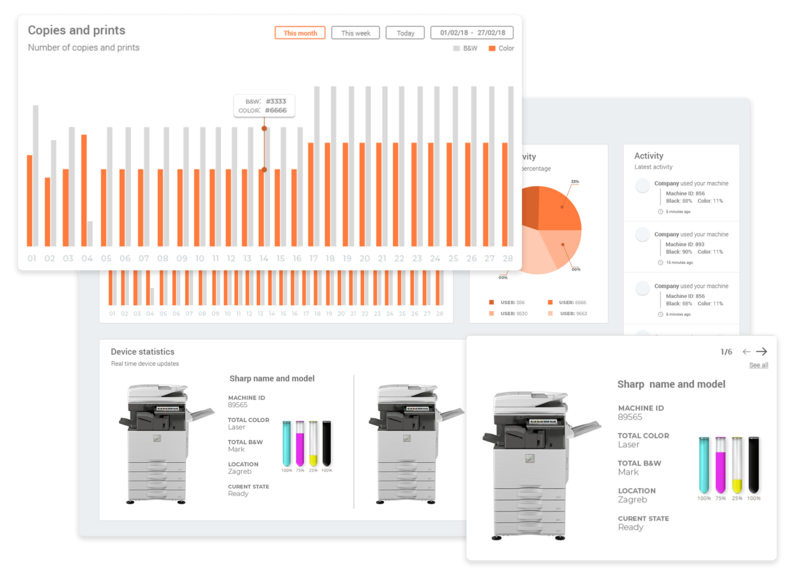 Our powerful and easy-to-use solution enables you to fully manage your printer fleet and reduce cost to your business.